Amanda Wee didn't know it at the time, but in September 2015 she had reached "an inflection point" in her life. The Singapore native had just gotten out of a serious relationship and felt burnt out at her corporate finance job. "I knew I was ready for a change, and I wanted to do something that I was deeply passionate about," she says. "But the truth is that I had no idea what it was." 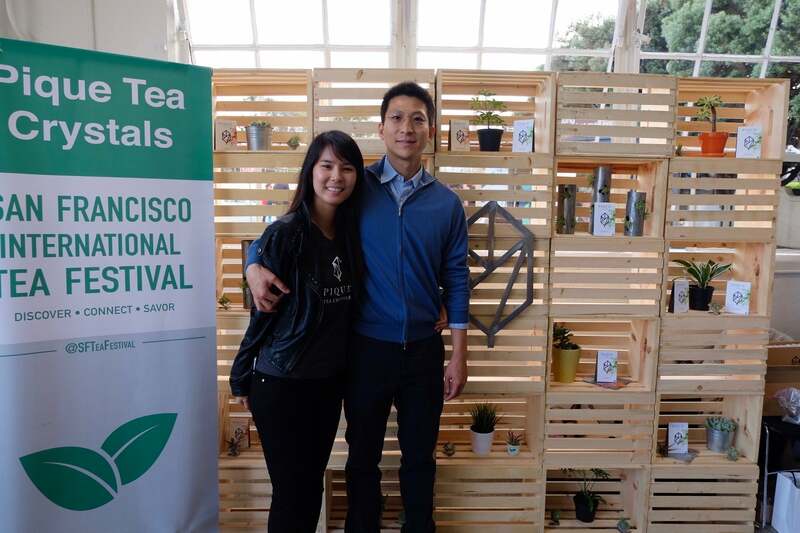 Little did she know that a trip to San Francisco to visit her sister would not only result in her meeting the co-founder of her first entrepreneurial venture, Pique Tea, makers of cold brew instant tea, but also her future husband. They happen to be the same person, Simon Cheng. But did love or business come first? "Because I had just gotten out of a very serious relationship, I was not looking for anything [romantic]," she says. "So definitely what came first was I fell in love with his mission of spreading the Eastern way of healing through tea to the West." Wee returned to Singapore, and communicated with Cheng through FaceTime and Skype about the business. They had only seen each in person seven times before he asked Wee's father for her hand in marriage, a mere three months after they first met. She quit her job and flew to San Francisco. In the year and a half that Pique has been in business, it's already seen a lot of success. The company's products launched in 30 Whole Foods stores in September of 2016 and now can be found in 1,500 stores nationwide, including Whole Foods, Sprouts and Wegmans, Wee says. Pique is also featured on Amazon Launchpad and available in the micro kitchens of companies including Facebook and Airbnb. The company, now based in Los Angeles, was also recently selected to be part of Chobani's food incubator. 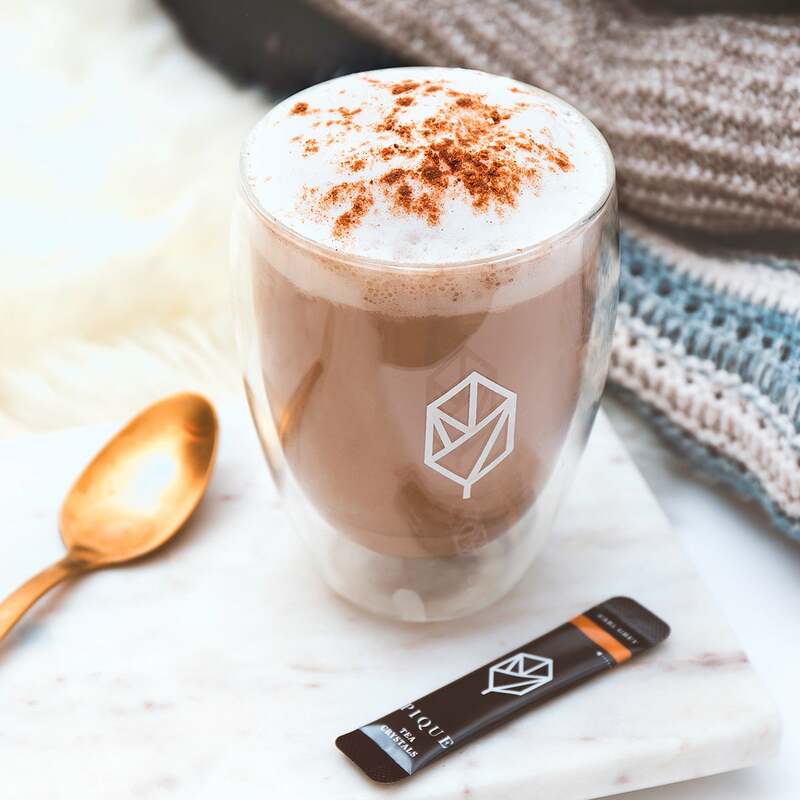 It will launch a line of caffeine-free herbal teas in March. Entrepreneur.com spoke with Wee about Pique, along with marketing to and educating customers. What's the origin of Pique Tea? Simon basically had a series of health problems. He had screws in his chin, severe sleep apnea, both his lungs collapsed. He'd gone through three or four pretty major surgeries before the age of 30. That really inspired him to take on a very preventative approach to health. This led him to travel extensively across Asia. He was living in China at the time and on one of his backpacking trips he stumbled across Yunnan Province where tea was first discovered 5,000 years ago. There, he found villages taking whole tea leaves and boiling it in pots and reducing it into a resin, which they would eat. He was so inspired by this process that he wanted to share it with the world. 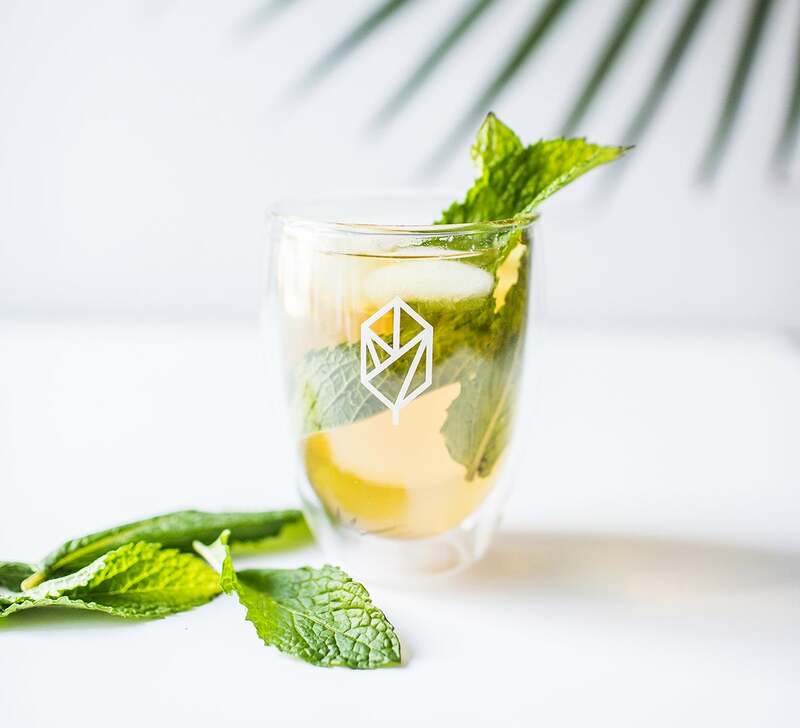 So he worked with tea extraction specialists, tea masters and farmers to [create] the patented process called cold crystallization, whereby we take whole tea leaves and we cold brew it for up to eight to 10 hours. Once we had the brew, we filter the tea leaves out and we use a very mild dehydration process to reduce the tea into a tea crystal. We're the first company to do this. Most Americans, when they do drink tea, consume it from bottles and cans. What makes Pique stand out and why do you think it's done well so far? 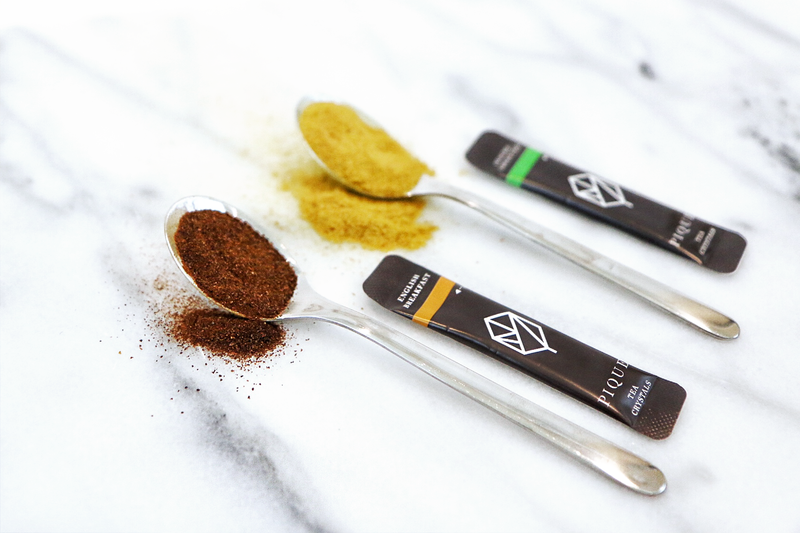 Our tea crystals disrupt a category that has not seen innovation for 100 years since the tea bag was invented. Pique delivers whole leaf quality tea in an instant in cold water and delivers six times the antioxidants of tea bags. So it beats all competition in the market on three major fronts: quality, taste and convenience. At the same time, millennials are the first generation of Americans to have an equal presence of tea and coffee. How did Pique land its first big distribution deal and what can entrepreneurs learn from your experience? So the first distribution deal that I closed myself was Wegmans. I hounded the rep and the distributor for a meeting with a buyer until I got one. This was really the result I would say of sheer persistence and persuasion -- having a good enough product was definitely not good enough. When the buyer agreed [to a meeting] I flew to Rochester, N.Y. I remember I was in the waiting room when everyone was male, Caucasian and in a business suit, and I definitely stood out like a sore thumb. An Asian female totally underdressed in sneakers, basically off a plane from California. I did not let that intimidate me. The buyer took his first sip after he saw me prepare Pique and how easy it was, and the rest is history. Were there any retail deals that didn't go as smoothly? One of the biggest lessons I've learned very early on as an entrepreneur is the importance of saying no and scaling in the wrong way. Safeway wanted to take Pique on and wanted to put us in the powdered drink section. I know that the powdered drink set is shrinking every year, mainly because of the quality of ingredients. Consumers are just not walking that aisle as much. On top of that I knew and wanted Pique to be recognized as the premier, cold brewed, instant, on-the-go, tea. Where we belong is the tea and coffee aisle. I immediately emailed the buyer and said, "Sorry, Pique can absolutely not be in the powdered drink set. This is not a set that our consumers will know where we are and the truth is that we will probably not do well there." Most young companies would jump on the chance to launch in Safeway in their first year. But for us we want to take measured sustainable growth to building a profitable company. I don't have any regrets. What's the biggest challenge in your industry and how are you able to overcome it? The biggest challenge for a lot of us in the CPG (consumer packaged goods) world is marketing and breaking through the noise. Once your product is on shelves that is just the start. How do you educate people to become knowledgeable about your product? How do you get your product to stand out on shelves given all the competition next to you? What we found is that the answer really lies with trials and sampling. Pique as a product speaks for itself. Once people try it, they're instantly hooked. We've done so many demos now that I can say that our conversion rate of these demos are like 80 to 90 percent. The key for us is really to get Pique in the hands of as many people as possible and that's been our main focus and will be our main focus in the next year or two as we scale the business. There's literally no where I go that I don't carry Pique in my handbag to give out. I make sure that every single person I engage with is educated about Pique, whether it's a stranger on a plane -- in fact that's the best place because they're stuck next to you -- or even at a cocktail party. It's a great conversation starter. How do you explain the product to people if they can't actually see it? We've gone through so many iterations. Then we found that people didn't actually understand what whole leaf tea means. They assume that everything in a tea bag is whole leaf tea. Now we just call it cold brew instant tea. I feel like that has worked. We've been testing that messaging and people are embracing it. We've seen that online mainly. Our Amazon business has actually grown, I want to say like 200 percent since we started. Since you're married to your co-founder, how do you balance your work and home lives? Actually, my 2018 intention is to create a boundary between work and personal life, because personal life is extremely important for me. So there are certain rules that we have, like no discussing business during dinnertime. Dinnertime is a very sacred time for us to come together and talk about things outside of work. That's 7 to 9 p.m., and with an early stage startup we work through the night. So from 9 to midnight that's work time but there's no speaking about work on Saturday and Friday night. I've broken the rule one too many times though.